They are holding a sign that reads " Young Women's Christian Association Eastern Kentucky State Normal. June 1, 1910. 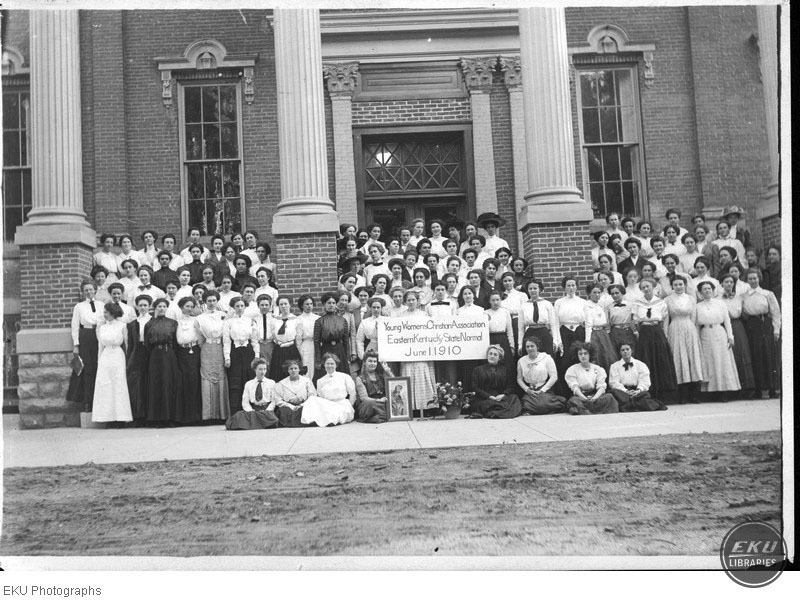 Unknown, “Members of YMCA and YWCA,” Digital Collections, accessed April 22, 2019, https://digitalcollections.eku.edu/items/show/30064.